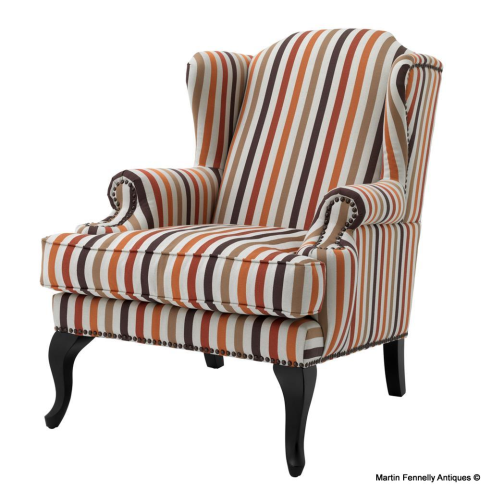 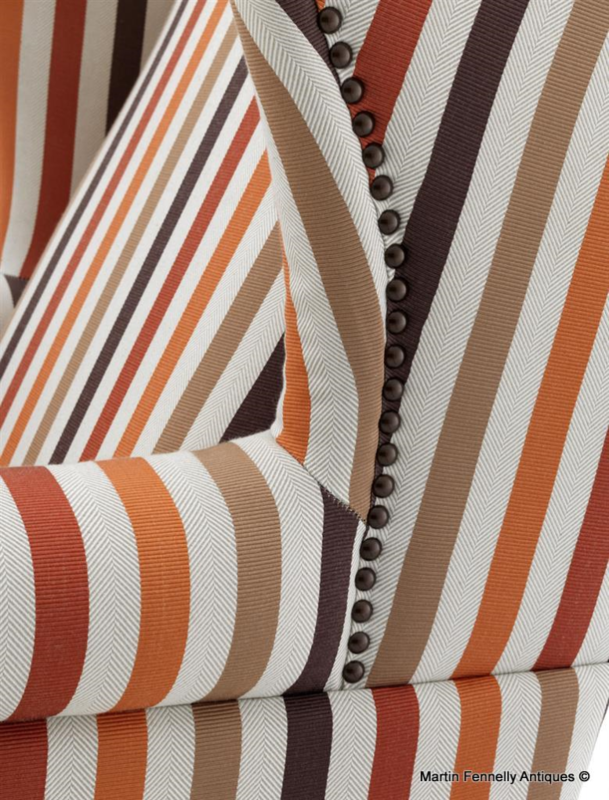 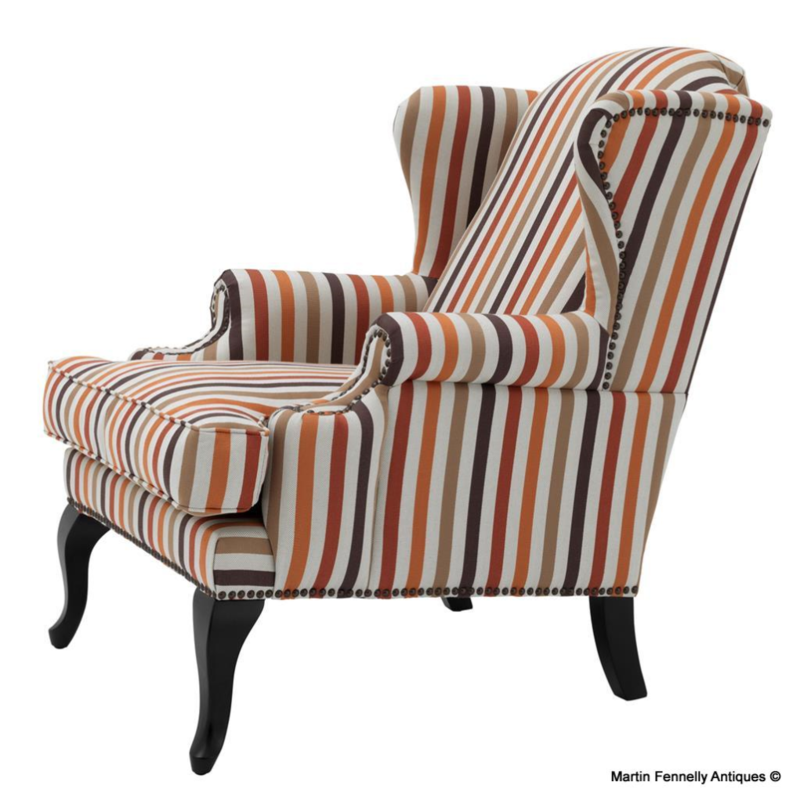 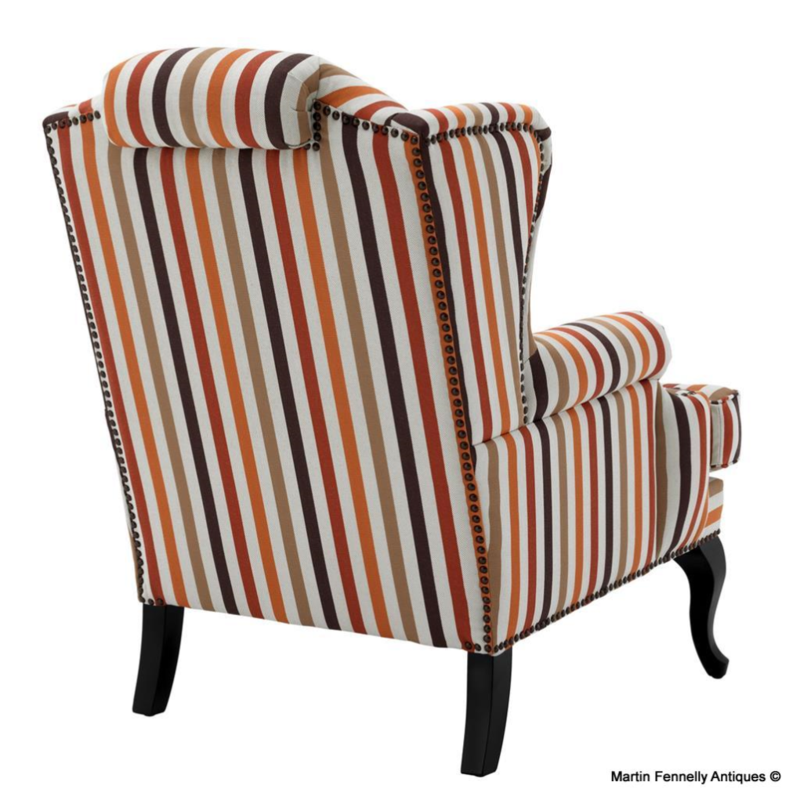 Upholstered in a smart striped multi-coloured pinstripe cotton fabric, this is a superb Classic Armchair with deep comfortable seat and extended backrest for extra comfort. Tapered front legs and simple stud detailing completed the sophisticated look. 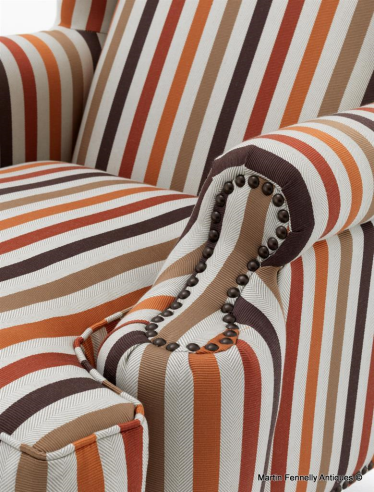 Add some contrast to that modern pastel dominated design in your home and indeed some glamour.